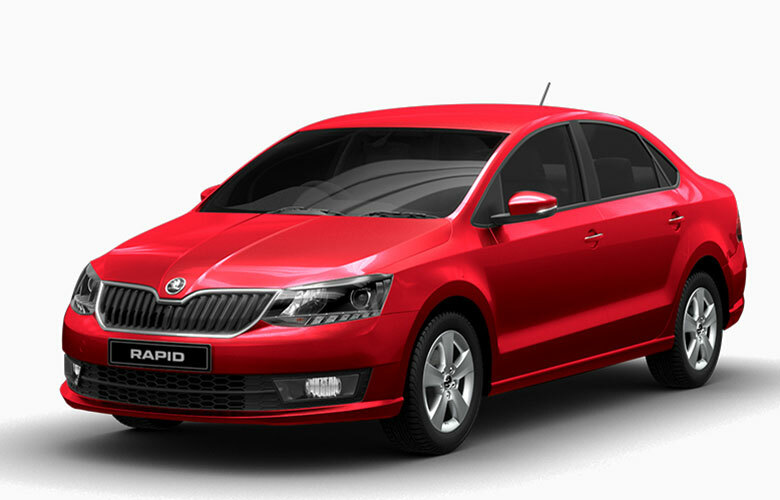 Check out the new Skoda Rapid in Flash Red color. Get Skoda Rapid for Test Drive! Provide your details so that we can arrange a test drive of New Skoda Rapid for you at your city! 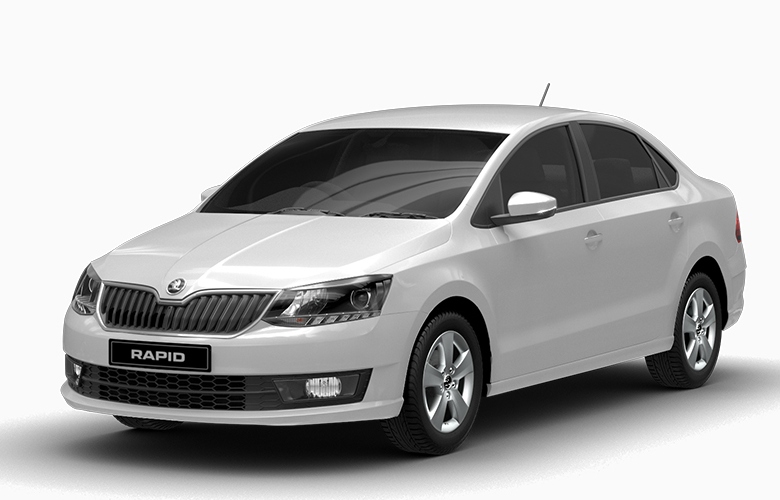 Talking about the engine and performance, New Skoda Rapid is available in 2 different engine options – petrol and diesel. The petrol powered Skoda Rapid isequipped with by 1.6 MPI Engine which churns out maximum power of 103 bhp and delivers 153 Nm of torque where as the Skoda Rapid Diesel gets a 1.5 TDI CR Engine which delivers maximum power of 108 bhp and 250 Nm of torque. The all new Skoda rapid gets a magnificent design. The updated design of Rapid makes for a good first impression. What stands out in this car is Re-designed Signature Rapid grille . The car’s grille comes with with chrome surrounds giving it a handsome look. The Skoda logo on the Rapid is placed on the bonnet and the front grille gets a vertical slats to support its signature styling. The Projector headlamps with black background look mean and the tapered LED DRL’s look pretty fantastic. Skoda Rapid gets front disc brakes with inner cooling and rear drum brakes. The McPherson strut front suspension and compound link crank-axle make up for the suspension system of the car. Dimensions of Skoda Rapid – Length 4413, width 1699, height 1466 and wheelbase 2552 (all in mm). Which Skoda Rapid color do you like?